Safety at Height specialists, Heightsafe Systems Ltd has won a competitive 3-year tender contract with the UKs leading hotel and restaurant chain. 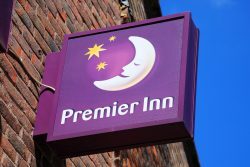 With a portfolio boasting over five hundred sites including the well-known high street brands Premier Inn, Brewers Fayre, Table Table, Beefeater and Costa Coffee, Whitbread have retained Heightsafe Systems Ltd to undertake statutory inspection and testing compliance for work at height and lightning protection assets, focusing on the cyclical certification of equipment. “The award of this prestigious contract follows a very competitive tender process. From discussions held with the Whitbread procurement team, it is clear that our businesses are aligned by work ethic, and our mutual goals of providing clarity and true visibility of these important safety assets. With Heightsafe’s support Whitbread are committed to ensuring full compliance for its personnel and contractors. By utilising Heightsafe Systems’ client portal, Whitbread will have instant access to all critical health and safety documents along with critical data relating to the location of assets on site, certificates and renewal test dates. Prime, created by Heightsafe Systems’ own in-house IT Department, is modular and can be tailored to individual business needs and is free to use for all clients. Heightsafe Systems Ltd will also be taking on the testing of all Personal Protective Equipment at Whitbread PLC’s chains, making recommendations of any installation requirements for furthering their health & safety standards. 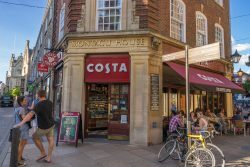 This new contract will ensure Whitbread PLC are provided with the highest levels of compliance, clarity, value for money and assistance to manage such a large volume of assets and sites. Heightsafe has grown exponentially since its inception in 2009, from a two-man serviced office to its current 15,000-square foot central operations base; boasting a wealth of longstanding and repeat blue-chip business clients and employing 50 staff. Heightsafe is a family run business providing specialist height and safety services, products and advice on a nationwide scale and in recent years expanding into Europe. With a key focus on advances in technology, Heightsafe offer clients a personable and bespoke service by ensuring transparency through in-house client management software, raising the bar in health & safety standards. Born from the success of Heightsafe is HSFM, a building maintenance and cladding division, which ensures a full circle approach to portfolio and project management, meaning clients can procure multiple services under one roof. To name a few clients who share in Heightsafe’s vision: Selfridges, City West Homes, Manchester United, Ascot Racecourse, Berkeley Group, Westminster Government and Whitbread PLC.